County by county 2016 election results. State Rep. Joe Geller, D-Aventura, has filed a bill to mandate that Florida’s electoral votes be awarded to the candidate who wins the nationwide popular vote. Even if it has a snowball’s chance in Miami to pass a GOP-controlled legislature reluctant to draw the Twitter wrath of a president who doesn’t take kindly to popular vote talk, it’s at least an interesting idea for discussion and probably less of a lift than amending the U.S. Constitution. 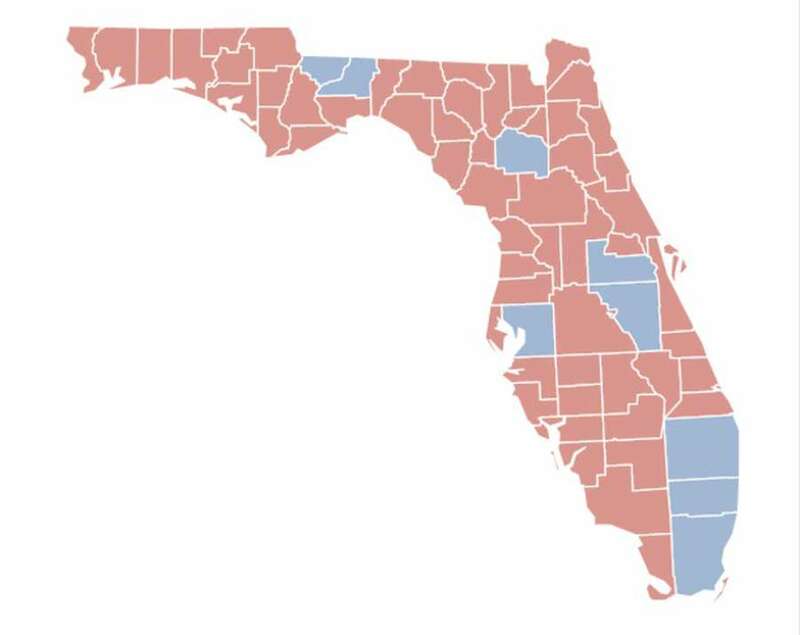 The legislation would make Florida join something called the National Popular Vote Interstate Compact -- states banding together to sure presidents win a majority of the popular vote. Ten blue states (Maryland, New Jersey, Illinois, Hawaii, Washington, Massachusetts, Vermont, California, Rhode Island, New York) and the District of Columbia have joined the compact already. It would go into effect once enough states joined that they account for the 270 electoral votes needed to win the presidency. The Democratic-leaning League of Women Voters of Florida today endorsed the legislation. She and Geller contend the “winner-take-all” rule for Florida and most other states diminishes the value of each vote for President. That’s because all electoral votes currently go to the person winning in that state, even if by a bare majority. “In Florida, roughly 327,700 people’s votes count for one of our twenty-nine electoral votes, while in the state of Wyoming about 85,300 votes count for one of their three electoral votes. Florida ranks last in proportion of popular vote to electoral college vote,” Geller noted in a news release. The counter argument? Florida, with more electoral votes than any other swing states, wields far more influence than most states. That’s why candidates spend so much time in the Sunshine State and so little courting voters in states like Wyoming or California. No swing state, let alone red state, has yet joined the compact, though some Republican-dominated legislative chambers have passed it. The Constition allows states to determine how electors are selected to vote in the electoral college, though critics question the legality. A similar bill went nowhere in the last legislative session.